Officer General Guts, Signing out. Hey Guys, although this may be quite sudden and come to a great shock to you (don't panic). I'm going to be taking my leave from Lionheart. 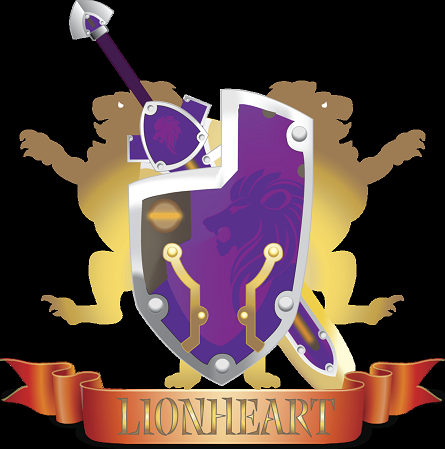 I initially joined Lionheart by chance back when I had just recently begun playing spiral knights. I never really intended to be part of a guild, but I was swept away in the excitement of the new addition of guildhalls. At the time the guild wasn't that large, but was beggining to grow exponentially. To be honest I never imagined I would be staying so long, or achieve my rank as an Officer, but I was having so much fun. But as the guild keeps growing the amount of responsibility increases and I am one lazy, half-assed man.. I was never really that great and tended to afk alot and I mean ALOT. Either way I still love you guys, you're an awesome guild. I may come back someday in the future and I'll visit you guys whenever I can. I'm not leaving the guild because I don't like it, or I don't like where its headed or whatever BS people try to make up, I just never was that guild kinda guy. TL:DR - ZOMG DAT HANDSOME DEVIL GUTSEH IS LEAVIN' TEH GUILD, BUT EVERYTIN' ISH STILL OKAY! BTW Don't forget to send Me Friend Requests incase I forget yew. Re: Officer General Guts, Signing out. I'll miss you, but I have a feeling that we'll bump into each other a lot. Cya around in SK guts.